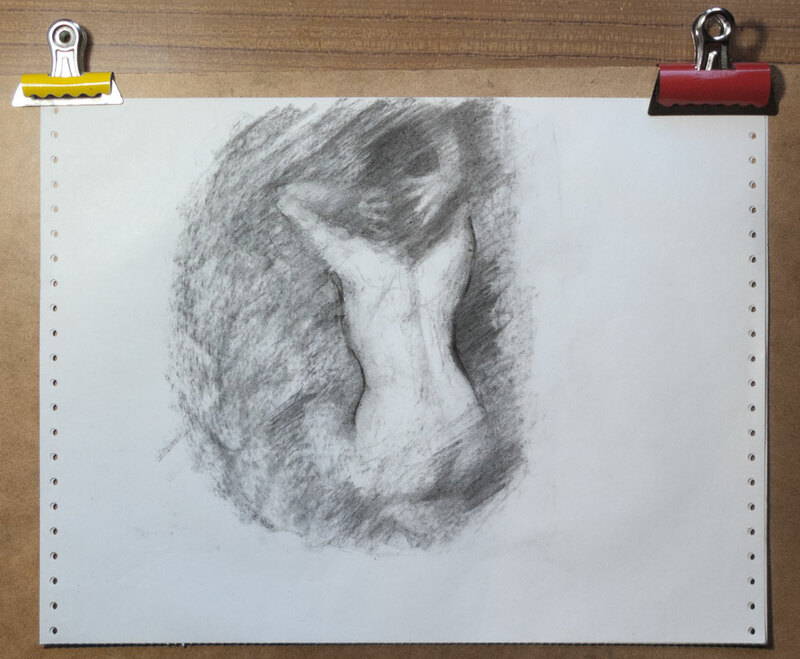 This charcoal sketch was inspired by watching an episode of Jennifer Marie’s Atelier Diary in which she talks about the book Camera Work by Alfred Stieglitz. Camera Work was a quarterly photographic journal which ran in the early 20th century, full of high quality photogravures. As she says in the video, some of the photographs in Camera Work look like charcoal drawings. So a quick image search lead to a photo taken by Edward Steichen and published in Camera Work in 1903, which had the tones and textures of a drawing rather than a photograph. 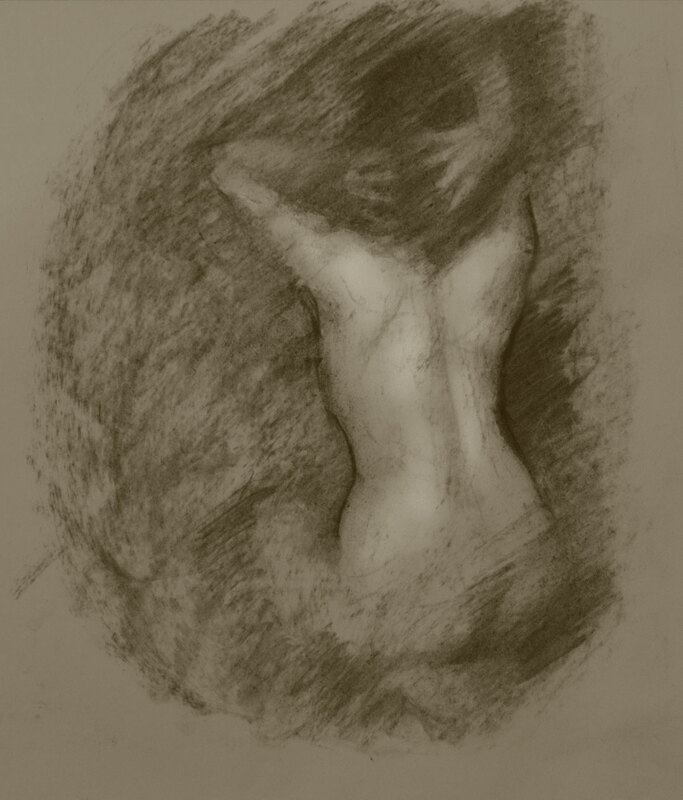 This drawing, based on the Steichen photo, was done fairly quickly with vine charcoal on the cheap printer paper I use for most of these charcoal or carbon pencil sketches. I wondered what it would look like with more of the tone and colouring of the original. 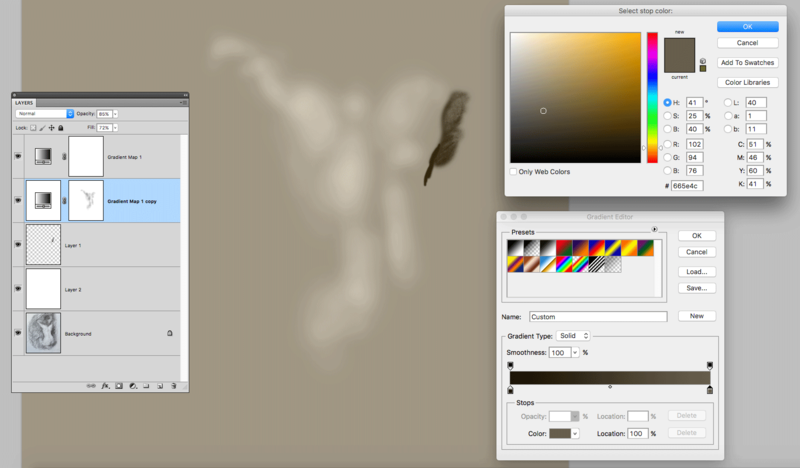 So I took a photo of the sketch into Photoshop and added an orange/yellow gradient map which could be faded and selectively masked to create a more three-dimensional form. I also made some adjustments to the original sketch to alter the contour of the muscles attaching to the right shoulder blade. The resulting picture only exists as a digital file. And that’s the lesson I learnt from this: to start as you mean to go on — a sketch will always be a sketch. To make a finished piece, it’s best to begin with the right materials and build it up with a proven method.